I had been in Berlin for five days and five days was all it took. 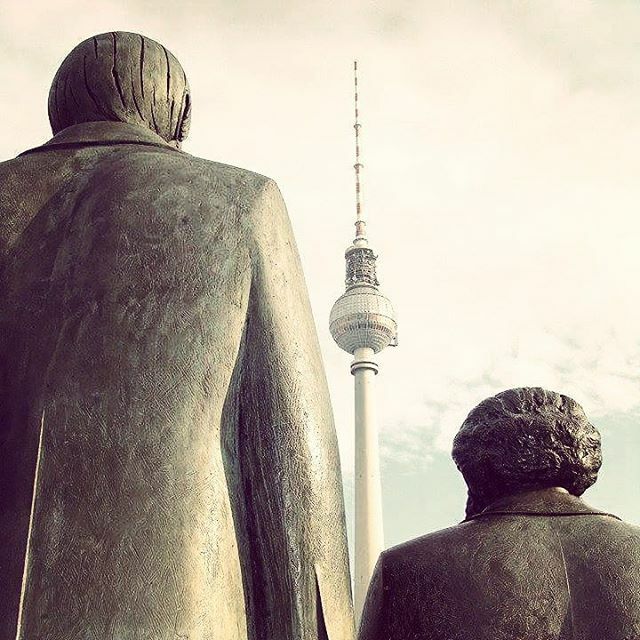 Five days to lose myself in the despair that was self-doubt only to find myself in the magic that is Berlin. I moved to Berlin in search of inspiration. The majority of expats have found themselves here on a similar journey and it is the culmination of eager, creative minds that make this city so beautiful. The air is filled with the energy of unique souls from around the world. With each exhale we release that which has held us captive, and as we inhale, we breathe in the freedom that can only exist through expression. Our art is the energy we put forth to the world and here in Berlin, we are liberated. It was a Tuesday night upon which my housemates suggested that we make our way to Das Edelweiss in Kreuzberg to attend a jazz jam session. I immediately seized the opportunity to join my friends. I hopped on the back of my housemate Ethan’s Vespa and off we went. The feeling of cruising through Berlin at night ignited my spirit so much so that I was hardly able to notice that the frigid air had rendered my hands numb as I attempted to hold tightly to Ethan’s waist. I inhaled slowly and deeply, eyes widened, ensuring to absorb the moment totally. Perhaps it is the plethora of romantic films I have watched throughout my lifetime that has perpetuated the notion that the most magical of European experiences must include a Vespa, a gorgeous male figure and the blur of city lights as two perfect strangers dart through the almost empty streets. Regardless, I had found myself in the film-like dream that, until now, had been but a figment of my imagination. As we came to a stop it took me a few moments to return to reality. I pulled myself together and followed Ethan as he led me through Görlitzer Park. Confused by my surroundings, and still in a haze from the enchantment that was the ride over, I asked him if he was indeed aware that we were supposed to be going to a jazz bar. I know where we’re going, follow me - he responded with a smirk. I did as he said and trailed behind Ethan as he made his way through the dark and vacant park. I jumped as a figured emerged from the trees. Nein. Wir wollen Sie nicht. Danke. Ethan responded without so much as glancing towards the mysterious man. Supposedly, Görlitzer Park was a notorious location in Berlin to acquire drugs. My pace quickened and I held my purse closely to my body as unease began to set in. At last, the red neon sign ahead of us illuminated the path. We had arrived. As I opened the massive wooden doors of the club, the sight before me captivated my entire being. I proceeded to move deeper and deeper into the sea of people until we were huddled so tightly together that I could practically feel the pulse of those surrounding me as though it were my own. Standing on the tips of my toes, I peered through the clouds of cigarette smoke that hovered above us to admire the gang of jazz musicians assembled in the center of the room. Each with their respective instruments, they played off of one another as though they were six bodies inhabited by a single mind. The ambience of the entire scene was reminiscent of the type of beat generation madness that, until this moment, had existed only in the pages of my favorite novels. However, as the drummer rattled his set, the saxophone generated a sound only comparable to the feeling of electricity pulsing through my veins and I absorbed the magnificence of my surroundings, I could practically see Kerouac himself nodding at me from across the room. By this time, I had lost Ethan entirely and saw no sense in attempting to find him. I made my way towards the musicians, inching fervently as close to the front of the crowd as I could. Standing directly before them I felt a sense of connectedness as the eyes of myself and the percussionist locked. He stood strongly, with a smile stretched across his face looking at me. It may have been the product of the wine I had spent much of my evening slugging back, nonetheless, in that moment, gaze held tightly while he rattled the maracas, we spoke to each other in a language and a manner beyond the scope of words. The melody and the bass replaced common speech; a kinship was bred out of the understanding that we were riding the same wavelength. In the midst of the ecstasy that had, by this point, engulfed my senses totally, I felt a sense of serenity that only comes from “finding” oneself. Freedom had brought me to Berlin, and freedom shall continue to guide me as I allow myself to drift through the fairytale that is Berlin. I had been in Berlin for 5 days.